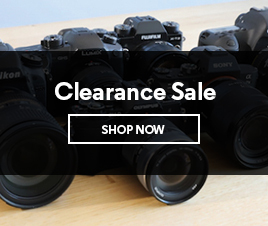 The PowerShot G7X Mark II is a popular choice, offering a high level of image quality and a range of features in a compact point and shoot camera. 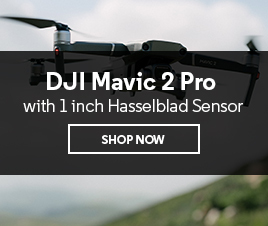 The 20.1 megapixel 1-inch CMOS sensor combined with DIGIC 7 image processor gives images professional quality, with a 9-blade aperture diaphragm and optical image stabiliser to perfect your shots. The Canon G7X Mark II is Canon’s first camera to be equipped with the DIGIC 7 image processor, taking the performance of this compact camera to the next level. 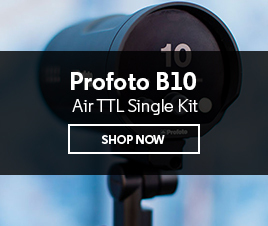 Powerful, fast shooting is made possible, with reduced noise and improved subject detection. 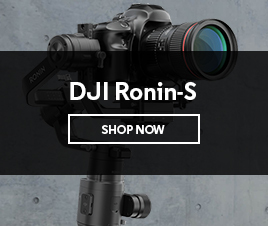 It's also quick to autofocus so you won’t miss out on those split-second moments, while the ability to shoot at 8 fps in RAW results in high quality shots. Improved subject detection ensures the camera locks onto your subjects even in low light. Equipped with a 20.1 megapixel 1-inch CMOS sensor, the Canon G7X II captures high quality imagery even in unforgiving lighting conditions. High detail comes through even at high ISOs, with minimal distortion and noise. 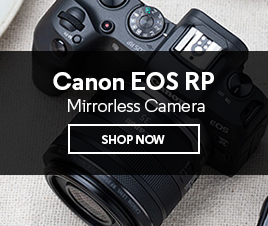 This camera captures imagery at a 3:2 ratio, which mirrors the Canon EOS SLR cameras. 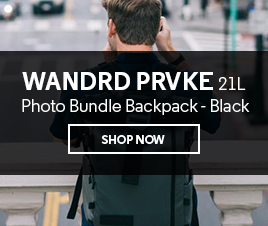 With a 24-100mm 35mm equivalent lens, the wide angle captures expansive landscapes, architecture, skyscrapers and large groups of people effortlessly. 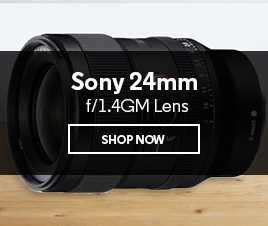 The 4.2x optical zoom lens achieves incredible images even in low light conditions with a f/1.8–f/2.8 aperture. The G7X Mark II gets more into your frame, making it ideal for street photography and capturing wide landscape scenes. With the power of the 9-blade aperture diaphragm, blurred areas are soft to create a creamy bokeh. The subject comes through with defined detail and an out-of-focus background with excellent colour rendition. This is achieved with Canon G7X Mark II f/1.8–f/2.8 aperture for a shallow depth of field, ideal for portraiture, nature shots and weddings. With near-field communication (NFC), you can easily connect the Canon G7X Mark II to your devices to share images straight away. Wi-Fi is built in so you can upload your images to social media directly from your camera also, without needing to connect to your laptop. In-camera RAW processing enables you to edit your shots on-the-go before sharing, while still retaining the full resolution original. Easily backup your images to online cloud storage with automatic image sync so you don’t lose your shots if anything happens to your memory card. The DIGIC 7 image processor enables accuracy and efficiency with video recording in the Canon G7X II. Shooting at a fast 60fps results in impressive clarity and excellent detail. Will full manual controls even in video mode, you can capture your shots creatively with a range of exposure settings. Capture scenes over a period of time with in-built time lapse to create fast videos of street scenes, night shots, sunrise or sunset. The flip screen capability also makes Canon PowerSHot G7X Mark II perfect for vloggers and enthusiasts who need to be able to record themselves on screen with ease. The optical image stabiliser equipped with dual sensing IS technology in Canon G7X Mark II significantly reduces camera shake. This results in crisp handheld shots without the need for a tripod or monopod. Hand and body movement when shooting handheld can create blurriness, especially when shooting from a distance, but the stabilisers in this camera stop this from happening in both video and stills. You can pan and walk with your camera while video recording without getting camera shake. What is the benefit of the tilting screen? For shooting in really high or low situations, use the tilting touch screen to select your focus point at any shooting angle. This is also a great way to get creative with your photography and try new angles you otherwise could not accurately achieve. Can I edit RAW images in the camera? Yes, use the in-camera RAW processor to edit your RAW photos on-the-go. How can I upload my images to social media directly from my camera? Download the Canon Camera Connect app and immediately upload images to social media via Wi-Fi connectivity. Which tripod pairs well with this camera? Grab a small tripod such as the Joby Gorillapod for shooting long exposures when you’re out and about. The tripod also comes in handy for vlogging, so you can hold on to the small tripod rather than the camera itself. It’s always worthwhile to have an extra battery in your back pocket, especially if you’re heading out for a full day of shooting. What type of memory card do you recommend? To make the most of shooting images and quickly reviewing them, grab a memory card with a minimum speed of 95mb/s. We recommend the Sandisk ExtremePro SD 32GB 95MB/S memory card.